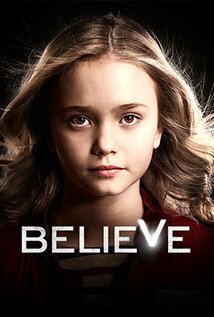 I was pleasantly surprised seeing the second episode of “Believe” much more interesting than first one. Now it`s becoming more clearer who is good guy and who is villain. A new episode of “Believe” brought us so many details, that were uncertain in Pilot episode. But it does not mean that all questions were answered in the second one. The series starts where it has ended, Bo and Tate are heading to Florida where then can get a place to stay for a while. During Bo and Tate`s road trip we have learned that she can move small and big objects such as police car. And of course, Tate would not be Tate, if he would not use Bo`s power for his personal interest. He asked Bo to use her ability to help him to win money at a local casino. That`s how we got the name of the second episode as “Beginner`s Luck”. But winning lots of money would have bring Tate wealth, but would definitely help out to someone else to cure a son from leucosis . I would not recommend you to read the rest of the review if you haven`t seen this episode yet. As I mentioned above, we have learned many interesting things , such as: Bo does not know who is her father. She is extremely powerful. And yet, the most powerful child in the World. Why the most? Because she is not the only one who has ability and power to do what regular people cannot. And that`s one of the reason why Milton Winter kidnapped in order to protect BO from the evil elements that hunt her power. Because there are powerful forces who desperately want to get control of her and her abilities and use it in the future as a weapon. But why William Tate `s has been chosen by Milton to protect Bo? And that`s one of the biggest questions being answered: Tate is Bo`s father, but somehow he does not know about that. Agent Elizabeth Farrell is trying to capture William, but soon she finds out that there is a little girl who she needs to be concerned more than Tate. Second episode of “Believe” was quite interesting to watch. And yet, it also has raised more questions. Which is mean that there are still many things we have missed, and certainly, with every single episode we will be getting closer to get our answers.